A board game for teaching or revising the past simple tense. Students advance on the board with dice, when they land on a square they are asked to make a sentence using the picture clue and the verb provided. The above downloadable worksheet is intended for elementary school students at Elementary (A1) and Pre-intermediate (A2) level. 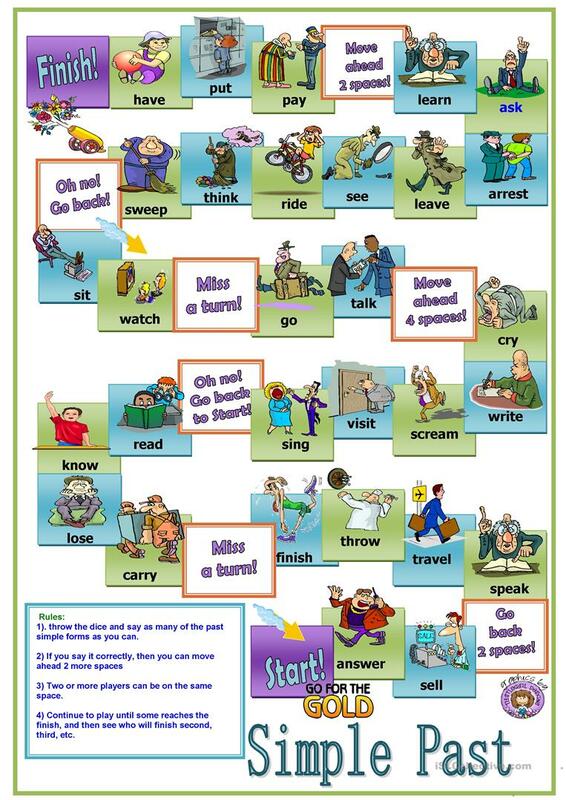 It is great for revising Past simple tense in English, and is excellent for enhancing your students' Spelling and Speaking skills.